Angelica root strengthens immunity, regulates digestion and bowel movements, also works relaxing. 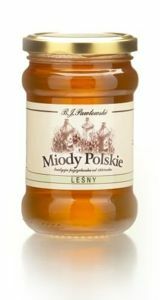 It is often called the Polish ginseng because its properties are to some extent similar to ginseng. 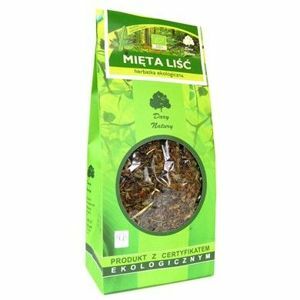 BIRCH LEAVES BIO TEA 50g from '"GIFTS OF NATURE"
Birche's leaves have a diuretic, diaphoretic, antirheumatic action, improve metabolism, act detoxicating on the vascular system. It is used for urinary tract infections. It improves the ability to filter kidneys, stimulates urination and flushes "sand". BIRCH POINT BIO TEA 50g from "NATURE GIFTS"
In folk medicine, dried and powdered "growths" birch are considered as anti-cancer drug. The results of many tests carried out over the years, studies indicate that extracts from the fungus birch exhibit inhibiting the development of cancer . According to herbal literature, blackthorn flower has cleaning blood properties and has positive effect on the work of the stomach, bladder and kidney. 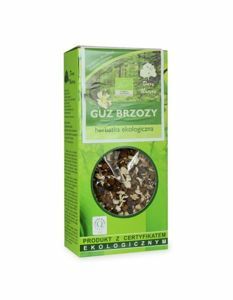 CAMOMILE BIO TEA 25g from "NATURE GIFTS"
Eliminates the symptoms of poisoning stomach, relieve abdominal pain. Quickly absorbed. This is useful in maintaining the long-term diet, detoxifying inside and outside. Tea is responsible for the proper disposal of water from the body, birch, elderberry and couch grass rhizome support the excretory function of the kidneys. 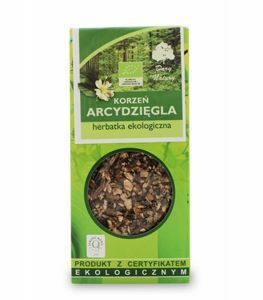 Specially selected organic ingredients contained in this tea will help you cleanse your body of metabolic products. Contemporary man at every step comes in contact with chemicals especially preservatives, improvers, etc. 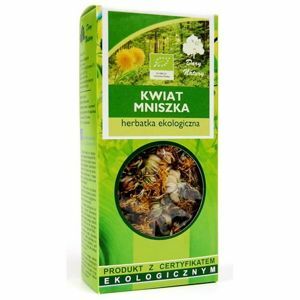 Our Dandelion tea in the form of fresh and dried herb, and can be added to salads or brewd with hot water. It streamlines the process of metabolism and supports liver. 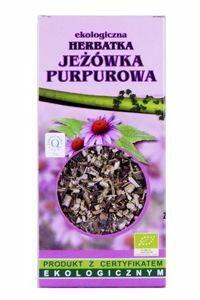 Echinacea herb increases the immunity of the body, prevents infection. It comes from North America. It can be also used in case of skin problems as a cosmetic, anti-inflammatory, healing aid. 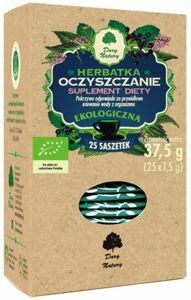 ELDERBERRY BIO TEA 100g from "GIFTS OF NATURE"
Elderberry tea is used as a blood cleanser, also it operates diaphoretically and diuretic, and used in larger amounts running slightly laxative. 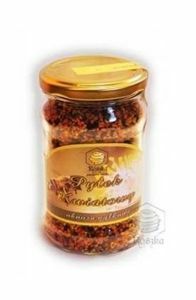 It is a diuretic and diaphoretic tea, increases flexibility, and reduces the permeability of capillaries. It is used mostly in fevers. 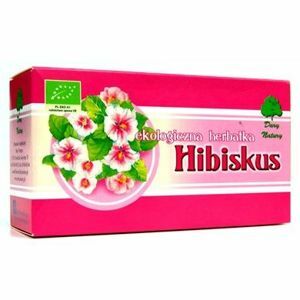 Hibiskus is characterized by high levels of vitamins, organic acids and minerals. 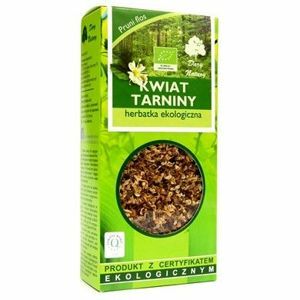 Taking into account the flavour, this tea can successfully replace other daily beverages; Does not contain artificial preservatives and dyes. 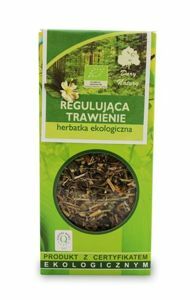 HOPS CONE BIO TEA 25g from "NATURE GIFTS"
Hops is a proven remedy for insomnia and sedation. It will also help relieve the symptoms of menopause, pain roots and get rid of dandruff. Hops can prevent the development of cancer! Horsetail herb has a positive effect on the metabolic processes of the body, has a good effect on the condition of the skin, hair, connective tissue and bones. Lady's tea is recommended for women of all ages as a means of regulating the functioning of the woman's body. Helps to eliminate disruptions and discomfort associated with menstruation. Prevents inflammation in the reproductive system. 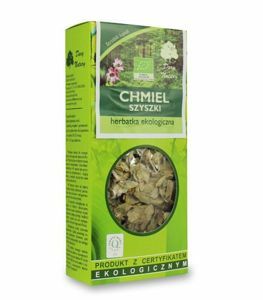 Lemon balm leaf BIO TEA (Melissa) 100g from "NATURE GIFTS"
Lemon balm leaf is recomended for sleep and sedation, to improve digestion, relieves menstrual cramps and nausea in pregnancy. Lemon balm is also recommended to improve memory and concentration. According to the literature, linden tea act as a remedy in high temperature diseases, cleanse the body of toxins. 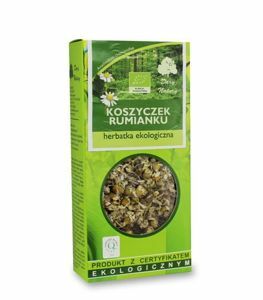 It is also recommended as a diuretic and relaxing agent in renal and bladder disorders as a relaxing tea substitute. 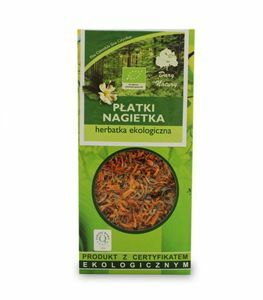 MARIGOLD PETALS BIO TEA 25g from "NATURE GIFTS"
Marigold petals can be used as an adjuvant and prophylactic the catarrh and ulcers of the stomach and intestines, the liver niedomaganiach menstrual disorders. It is also a good cosmetic with tendencies to skin infections, redness, etc. This tea improves digestive and prevents flatulence. Consuming it brings a feeling of refreshment and cool. 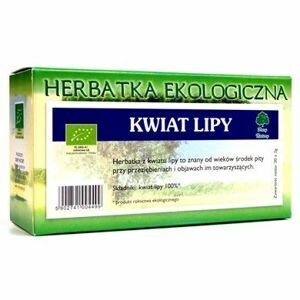 NETTLE LEAF BIO TEA 100g from "GIFTS OF NATURE"
Nettle leaves could be used as a multivitamin, recommended for the purification of toxins, preferably also it affects the morphology of the blood; It is used as a measure at the beginning of diabetes and supporting the work of the liver. 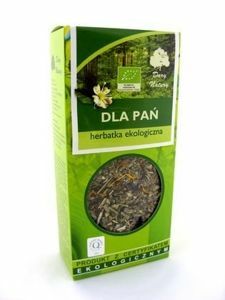 NETTLE LEAF BIO TEA 25g from "NATURE GIFTS"
Nettle herb leaves could be used as a multivitamin, recommended for the purification of toxins, preferably also it affects the morphology of the blood; It is used as a measure at the beginning of diabetes and supporting the work of the liver. Nettle leaf can be used as a multivitamin, recommended for the purification of the body of toxins and has a beneficial effect on the blood morphology. Also has a positive effct on hair and nails. 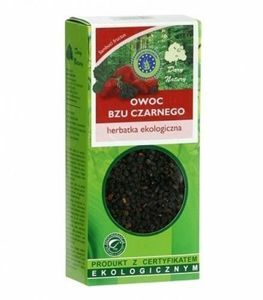 RASPBERRIES LEAF BIO TEA 25g from "NATURE GIFTS"
Raspberry leaf herb can be used as a means of cleansing the body of toxins, regulates metabolism and assist in the excretion of waste products. 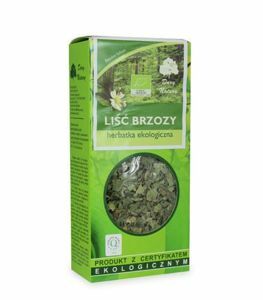 SAGE LEAF BIO TEA 25g from "GIFTS OF NATURE"
Sage Leaf can be used as an antiseptic, astringent, stimulating digestion and prevent sweating. Externally used for rinsing and washings. 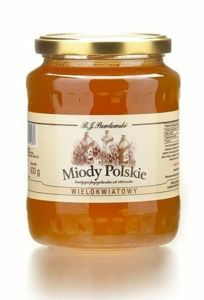 It is also very popular in the cusine. tea is made from chokeberry fruits harvested in orchards conducted organically. Fresh brew characteristic and a slightly astringent flavor and a deep, dark color, very refreshing. Clover flower formerly used with a number of diseases of internal and external. Currently, the most clover flower is part of the teas drunk for the sake of youth. If you feel, that your body can not cope with all fried food around us, it is a sign to grab this digestion regulation tea. Fortunately, if you have one in your kitchen, basic stomach disorder shouldn't be a problem any more.